Make your insect screen installation quick and smooth with this easy glide Everbilt Spline Roller. Suitable for aluminum or fibreglass screening, the sturdy wooden handle and galvanized steel rollers provide long-lasting use and are shaped to prevent screen damage. Easy to use and provides professional results. This tension roller includes a center grooved nylon wheel. It comes affixed to an adjustable heat treated high tension steel spring. It is used by several glass door manufacturers and comes complete with fasteners for a quick and easy installation. 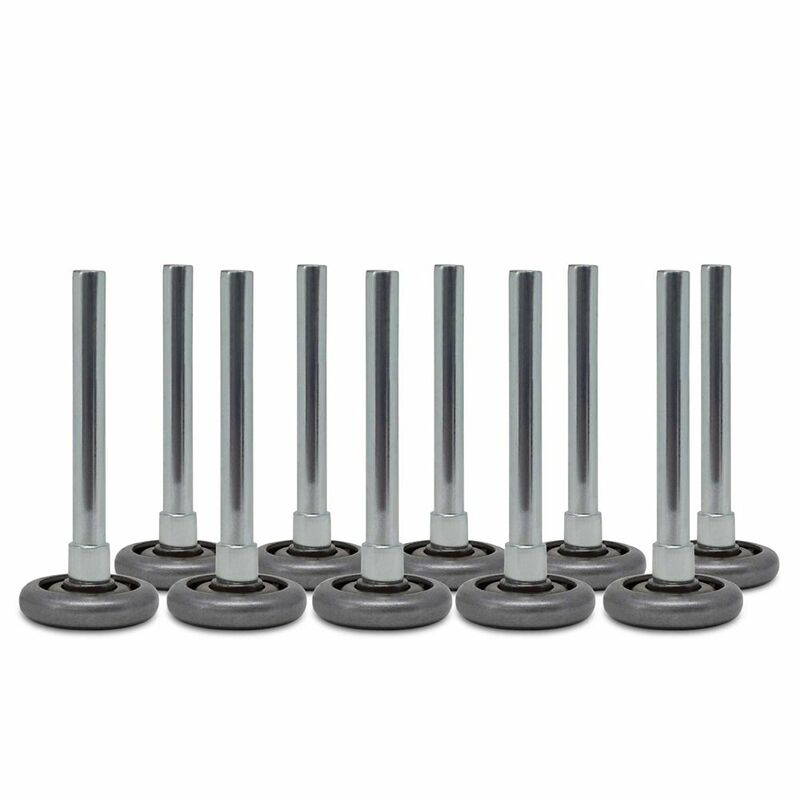 Garage door rollers - 2" Steel Wheels with 10 ball-bearings & 4" stem (10-pack) is rated 4.7 out of 5 by 10.